and 5MP front-facing camera with LED flash, Packed by a 3300mAh Battery. 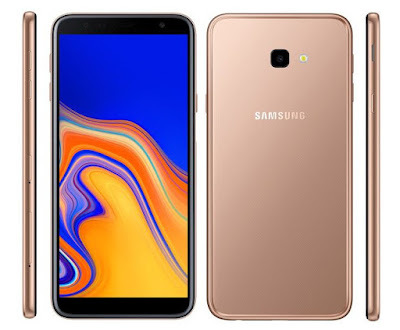 Samsung Galaxy J6+ has a 6-inch (1480 x 720 pixels) HD+ Infinity Display powered by Quad-Core Snapdragon 425 processor with 4GB RAM and 64GB internal storage. On Camera, it has a 13MP rear camera with LED flash, f/1.9 aperture, secondary 5MP camera and 8MP front-facing camera with LED flash. It comes with Side-mounted fingerprint sensor packed by 3300mAh Battery. 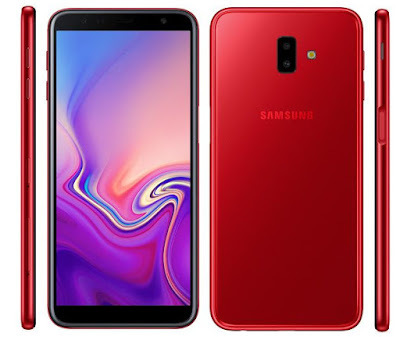 Samsung Galaxy J6+ come in Gray, Black and Red colors and Samsung Galaxy J4+ come in Black, Gold and Pink colors. Both will be available from September 25 on retail outlets, Amazon, Flipkart and Samsung Shop.